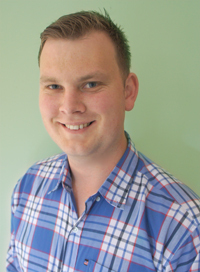 Dr. Chris Ramsay is a graduate of New Zealand College of Chiropractic. I received my first Chiropractic adjustment in 2007 and I was so impressed with my increased energy levels, improved concentration, better moods and most evidently high quality sleep that I decided to make a career of it! After almost a decade I have learned first hand that there is so much more to chiropractic than the treatment of aches and pains. I am constantly amazed by the power of the body to heal and thrive when the body and brain are clearly connected. There is nothing more rewarding than being able to help people to heal, whether it be sleeping better, helping a new baby to breastfeed or working together to recover from an injury. However the MOST exciting thing to me, is that I am seeing more and more people, without any symptoms, choosing chiropractic so that they can be the very best version of themselves! As well as Chiropractic I also have a strong passion for all sports, travelling the world and raising two gorgeous children, Cooper and Ella, with my beautiful wife Tamara. My mission in practice is to help as many families as possible live a healthy, happy and prosperous life.